Smart home tech isn’t as popular as companies would have hoped, but one incredibly beneficial change has come from it, which is smart home security is now largely in the hands of consumers. This is great for a couple of reasons. One, there’s some really innovative technology that consumers can take advantage of – like the ability to monitor a live feed of your home while you’re away on vacation. And two, the costs of maintaining a modern smart home security system are much more reasonable. Instead of being forced to subscribe to a monthly service through a company like ADT, consumers now have a wealth of affordable options at their disposal. You could go with a custom setup like a network of Nest Dropcams, or you could spring for a more professional service – with better support – like SimpliSafe. The main thing to note is that you now have the freedom to choose a smart home security system that meets your individual needs and budget. Plus, let’s face it, some of the technology that’s out there is pretty damn cool. If you’re interested in purchasing a smart home security system, or you’re just doing some research you’ve come to the right place. We put together a comprehensive list of all the different types of technology out there. We’ll be updating this post each time a new device or smart home security system crops up, so be sure to keep checking back! Now that we’ve dispensed with the formalities, let’s dive right in! 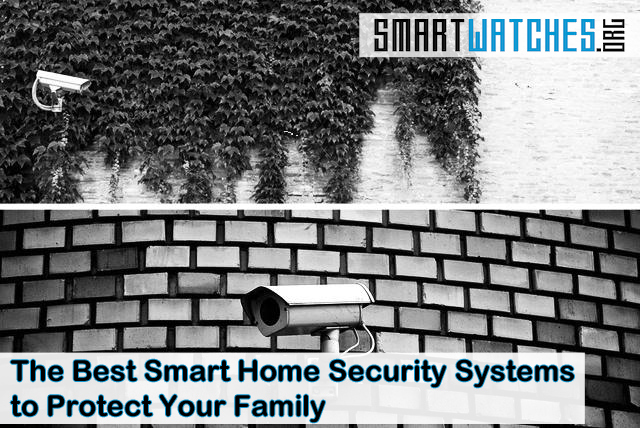 Please keep in mind that this list of smart home security systems is not in any particular order. The Netatmo Welcome is a sleek-looking, indoor smart home security camera with facial recognition features. It’s meant to be placed by the door, or near the entrance to your home so that you can monitor your family’s comings and goings. By placing it near the entrance, you should also be able to see if an intruder or stranger gets in your home. All security videos are stored on the device itself – on a microSD card – but can be accessed from anywhere, and any device provided you have an active internet connection. If the connection is dropped, the Welcome continues to record video, but new content is not synced to the app until internet is restored. The facial recognition features can help you identify who is entering your home, provided you’ve tagged a particular family member or friend. When it senses something wrong, like an unrecognized visitor, smoke alarms, or other security sirens it will send alerts through the mobile app. The Netatmo Welcome is $199, and there are no monthly fees or subscription plans to worry about. The Nest Cam is the successor to the Dropcam, another device you’ll find further down on our list. It’s a fully-capable smart home security camera that can tap into additional Nest branded products – like the smart thermostat – to unlock advanced functionality. For example, the Nest Smoke Alarm can send an alert through the mobile app to users, prompting them to open a live feed in order to check out the issue. The camera can record 1080p HD video, has an 8x zoom which is decent, and is also equipped with night vision – thanks to integrated IR LEDs. 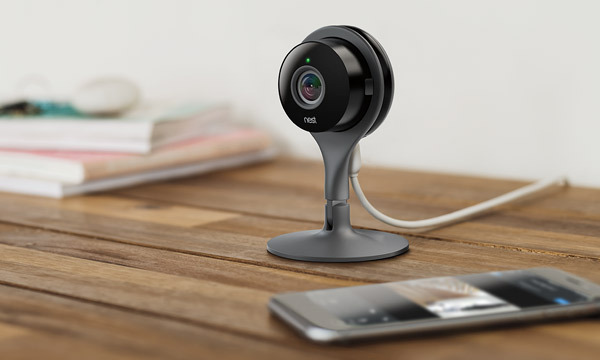 Like most of the other security cameras on this list, the Nest Cam also includes motion detection support. For each camera you’ll pay $199, but if you want to access your video history along with several additional features, you’ll need to sub to the Nest Aware service. That said, you can purchase a single Nest Cam – or multiple units – and they will work just fine for home monitoring without a sub. The Canary is a sleek, top-standing box that includes pretty much everything you’d need from a security system built-in. It has a camera, complete with night vision and motion detection sensors, that will scan the viewing area and provide a live feed. The camera is capable of recording HD video in 1080p, and a mic records HD audio. If it detects an intruder it will send a notification to your phone which provides an option to bring the video feed right up. It’s equipped with a speaker and siren for audible alerts, and it also includes temperature and humidity monitoring to identify extreme levels. An integrated accelerometer also allows the Canary to detect if it’s being tampered with by an intruder, or a little one. All recordings are stored in the cloud for up to 30 days. If you need to save a particular feed segment for later you can do so. You can pick up a single Canary unit for $179, or two in a bundle for $349. 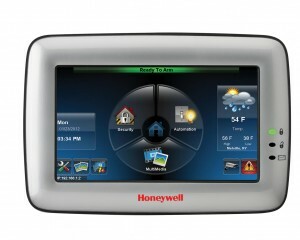 Honeywell’s Home Security line is more of a brand, which includes a variety of devices. But ultimately, they are all meant to connect with the Tuxedo Touch home controller unit, so that’s what we’re going to cover here. 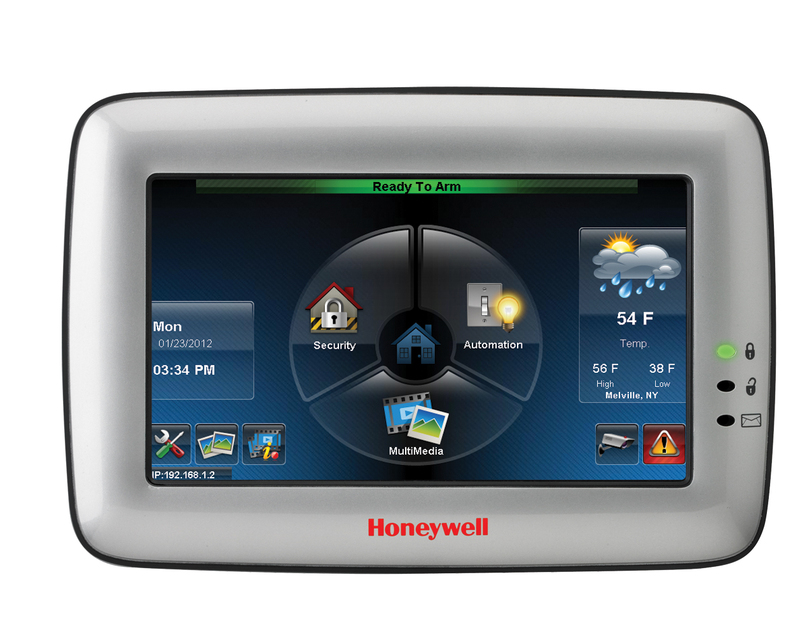 It’s a touchscreen controller that acts as a central hub, allowing you to tap into all of Honeywell’s smart home products – well, the ones you have installed anyway. If you have Honeywell’s smart home security and video monitoring devices hooked up, you can watch live feeds directly on the unit. It connects to your local Wi-Fi, and supports voice controls so you can talk to it – like Alexa. Sadly, it’s not cheap at about $400 a pop, especially when you realize that you’ll need to pick up one of Honeywell’s other smart home products to make use of it. 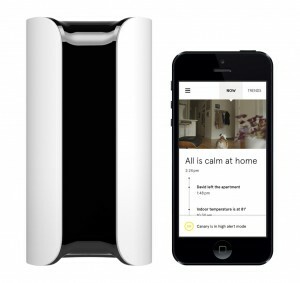 Piper is similar to Canary or the Netatmo Welcome, except it emphasizes live video feeds. It acts as more of an all-encompassing security monitor, sending out alerts when it detects something unusual. 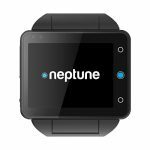 It can identify problems by monitoring sound, ambient temperatures, and brightness levels. If the unit detects a significant change it will let you know, and you can check in using the live video feed. Piper is unique in that it includes a 180 degree lens, capable of capturing the view of a full room. It’s even compatible with Z-Wave products so you can control other smart home gadgets, like lights or appliances. At $279.99 and no monthly fees you can’t go wrong with this one. 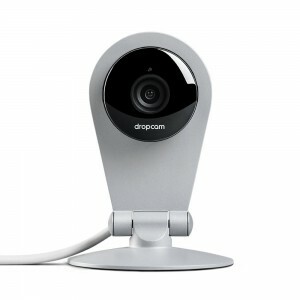 Dropcam was Nest’s first smart home security camera – which is now owned by Google. It works almost exactly like the Nest Cam, enabling an always-on video feed in your home. Video is streamed in 720p HD, and live access to all of your video content is free as soon as you own a camera. 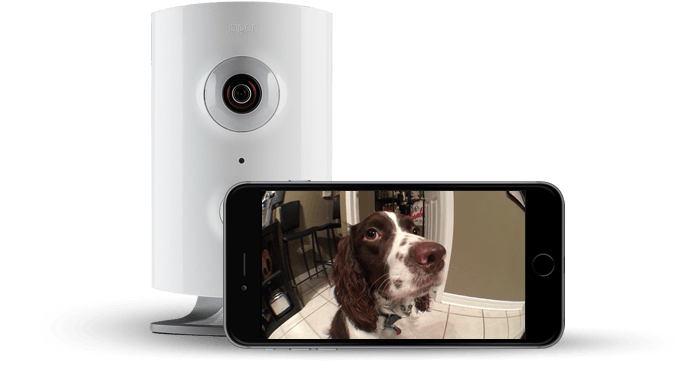 The cameras have a two-way mic too, that allows you to talk through them – which could be handy if your children or pets are home alone. You will need a subscription in order to save your content – and access it – from the cloud. Otherwise, it’s just the $199 per camera to buy in. 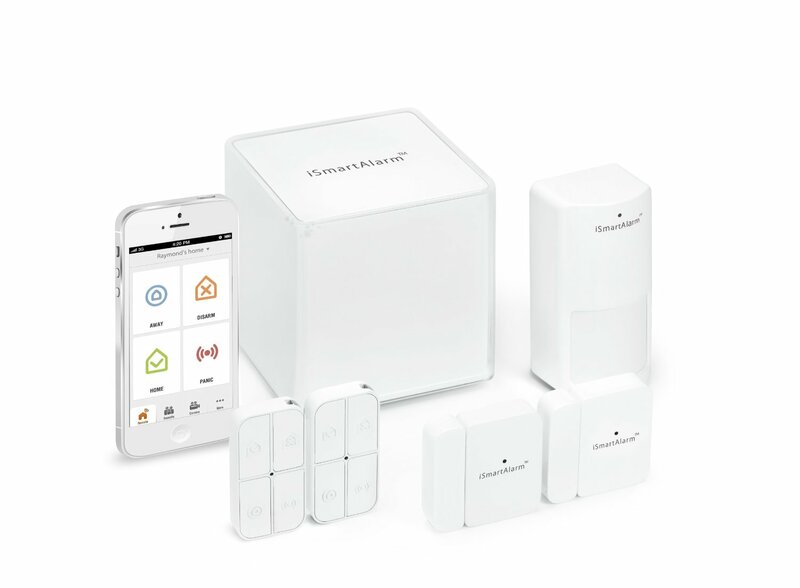 SwannOne is a smart home security suite that comes in several different bundles – or kits. Some of the devices that come in a SwannOne kit include indoor and outdoor security cameras, smart power outlet plugs, movement sensors, and even a key fob. Apparently, the hardware driving the SwannOne system was originally designed for use in prisons for crowd control. Because of this, it’s been designed to detect and identify events based on sounds. It will recognize the sounds of breaking glass, crying infants, and even third-party alarms like a smoke alarm. When that happens, the security system will send out the necessary alerts. The cool thing about SwannOne’s system is that you can store security feeds in the cloud – and access them remotely – for a subscription fee, but if you don’t want to pay it, you can also connect an external hard drive to store content. Depending on the kit you choose, the SwannOne smart home security system ranges from $299 to $699. 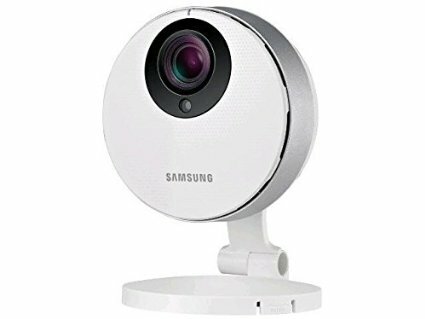 The Samsung SmartCam HD is a smart home security camera, nearly identical to some of the other devices on this list. Of course, this one has Samsung’s usual flair. 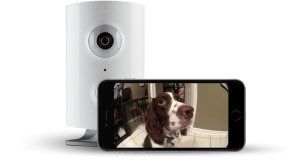 Features include motion and audio detection, a two-way mic, remote alerts, remote access, 1080p full HD video, and more. Samsung also claims the audio detection measures are so accurate, the system can correctly identify between glass breaking, someone walking across a room, or just ambient noise. The camera also includes a built-in microSD slot for storage, that way you can keep the security feeds stored locally on the device. This bad boy will set you back $189, per camera. Interestingly, Kodak decided to dive into the smart home security pool. We suppose this isn’t all that surprising considering the company is known for producing high-quality cameras of varying types. The Kodak CFH-V20 is a fairly new contender on the market. 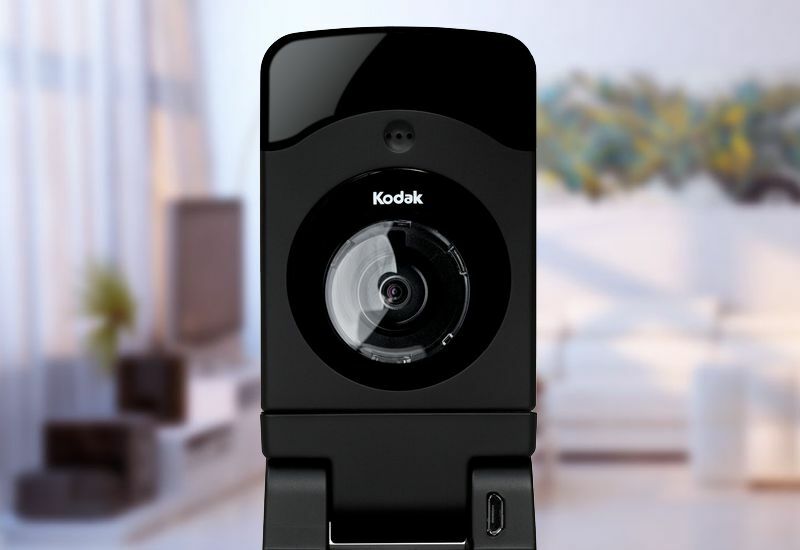 It’s a USB-powered smart home security camera, with a 180-degree viewing space that Kodak calls a “Wide Dynamic Range” ratio. Basically, it just means that the camera can capture a pretty wide view, but if you read the rest of this list you’ll know that Kodak’s camera isn’t the only one boasting this feature. 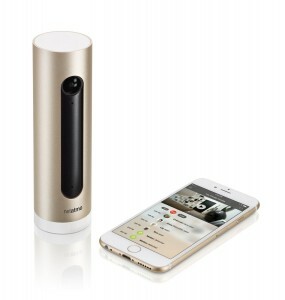 It has two-way audio, night-vision support, and motion detection. What makes it particularly special is that it also takes advantage of geo-fencing features, so that the camera automatically kicks on when you leave the house, and turns off when you’re back home. Essentially, it tracks your current whereabouts through GPS. All video feeds are stored in the cloud and can be accessed remotely, for free, but only for the first 24-hours after they were captured. If you want archived footage you’ll need to pay a subscription fee. The Kodak CFH-V20 also happens to be one of the cheapest of the bunch at $149. What the EZViZ Mini has to offer, is an incredibly affordable price at $70. 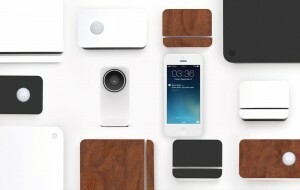 It’s meant to be a starter smart home security camera, with minimal features. It does offer motion detection with a remote alert function that will let you know if someone – or something – is moving around inside your house when you’re not there. 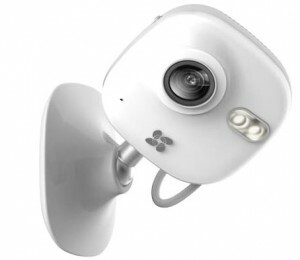 When the motion detection feature is triggered, the camera automatically begins recording video. The feed is then uploaded to the cloud for you to access later. The EZViZ does have a pretty strict limitation though. 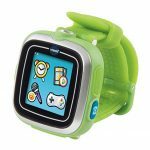 It can only record for a period of up to two-minutes each time it activates. You can buy multiple cameras in a bundle to set them up all over your home, however. iSmartAlarm is another all-in-one smart home security system that includes a variety of devices working together to make up a whole. The main kit comes with a video camera, contact and motion sensors, smart switches, key fobs, and more. Plus, you can extend it at any time by purchasing additional devices from the company. Like most of the other systems on this list, it syncs up with a smartphone app and lets you keep tabs on your home even while you’re away. What makes it one of the more promising options on this list is that you only have to buy the kit to use the equipment, starting at $199. There are no monthly subscription fees whatsoever. It’s best to compare SimpliSafe to home security giants like ADT, with one exception, you’re not locked into monthly fees and contracts. SimpliSafe’s “complete” smart home security system comes in various bundles, allowing you to customize what you want. It ships out to you ready to set up and use. You don’t have to wait for a professional to install the equipment, and you don’t have to activate a particular service. The SimpliSafe system also uses a cellular or mobile wireless connection to transmit data, unlike traditional security systems which use a LAN-line. That means, resourceful intruders cannot just disconnect the phone line to disable your security. If you so desire, you can sign-up to a monthly subscription plan to activate 24/7 remote alarm monitoring for your system. To clarify, no matter what you choose, you will always have the option to remotely monitor your own security system using a mobile device. However, with a premium subscription, the SimpliSafe team is also monitoring on the other end – like ADT and similar platforms. We can’t quote exact prices here because it depends on the home security kit you choose. The options range from about $250 up to $600. Scout Alarm is an incredibly attractive and customizable smart home home security system. Unlike some of the other systems on the list, with Scout Alarm you purchase individual components, and build your own system from scratch. You can choose from devices like a controller hub, door and window access panels, motion sensors, cameras, and additional accessories. Because of the component design, it’s unlikely that an intruder would suspect your security system to be, well, monitoring them. All the components look like more of an electronic device. For instance, the controller hub looks like a router. Prices per unit start at about $50 and range all the way to $150. Obviously, the total of a cost of a complete system is going to vary depending on what components you select. You do have the option to choose between three different color finishes for your components: arctic white, midnight black, and walnut. Just to reiterate, as more smart home security systems crop up – or are brought to our attention – we will update this list with relevant information. So be sure to check back regularly if you haven’t made up your mind yet!